Lidia joined the VHI as Research Administrator in 2012 and as a Research Associate in 2014. She studied philosophy at the Universities of Milan, Freiburg in Breisgau, and Dresden and she obtained her PhD from Anglia Ruskin University, Cambridge, with a thesis on Edith Stein's critique of Martin Heidegger. Most of her research work was carried out at the University of Dresden, Germany, where Lidia was an assistant lecturer in Philosophy of Religion, after receiving a postgraduate research scholarship from the Catholic University of Milan. 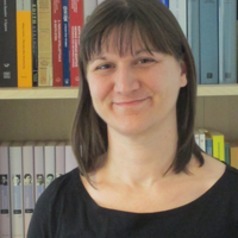 Previously Lidia has worked as a translator and reviser for books on philosophy and education, and she is currently the editorial assistant of 'Reviews in Religion and Theology', published by Wiley-Blackwell in association with the Von Hügel Institute at St Edmund’s College. Lidia's research interests include continental philosophy, particularly phenomenology, philosophical anthropology, and philosophy of dialogue. She has taught and published on empathy, personhood, end of life, and on the philosophy of Edith Stein, Martin Heidegger, Romano Guardini, and Martin Buber. Current research interests include philosophy of disability, autism and neurodiversity, personal identity, mental illness, phenomenology of health and ill-health.